GIZMODO | Ashley Madison Is Sending out Bogus DMCA Takedown Notices | August 27, 2015 | As the media and technologists sort through the deluge of information exposed by hackers from the extramarital affair site Ashley Madison, the company has taken to sending DMCA takedown notices in an attempt to prevent the general public from accessing the information via websites or social media. 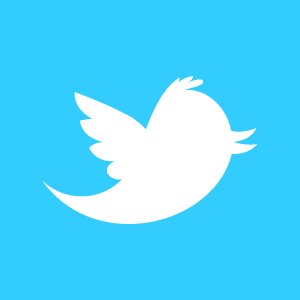 Clinical Fellow Andy Sellars and others view these actions as censorship attempts, because Ashley Madison cannot assert a copyright over the factual information published on websites designed to show whether someone’s personal information was compromised or Tweets about the substance of the leak. THE BOSTON GLOBE | Could a Negative Yelp Review Lead to a Lawsuit? | August 27, 2015 | A Charleston, S.C. steakhouse asked diners in large parties to sign contracts holding them legally liable for any negative reviews posted online. But, Clinical Fellow Andy Sellars told the Boston Globe’s Stephanie McFeeters that such a contract was meaningless “watered-down legalese.” Though the increase in online reviews like Yelp has changed the way customers perceive many restaurants and businesses for better or worse, Sellars pointed out that as long as a review is a statement of opinion, it is protected by the First Amendment. MARKETPLACE | Marketplace Tech for Tuesday, August 18 | August 18, 2015 | Ben Johnson of Marketplace Tech spoke with Clinical Professor Susan Crawford about the nature of the NSA’s “cozy” collaboration with AT&T and other companies for data collection. Professor Crawford points out that government agencies are able to escape Fourth Amendment restrictions by working with private companies who screen and sort the data before handing it over, and AT&T’s vague criteria regarding what to pass on meant that the NSA was able to examine large swaths of customer data. WIRED| Ashley Madison Hack Exposes (Wait for It) a Lousy Business | August 21, 2015 | In the wake of successive leaks of the dating and extramarital affairs website Ashley Madison, many have pointed out disparities between the company’s claims about their clientele and their treatment of data they promised to protect. Wired’s Julia Greenberg takes apart the leak’s revelations to see exactly how dishonest Ashley Madison was, and whether they are liable if they mislead users. As Assistant Director Dalia Topelson Ritvo notes, what it means to “delete” something in today’s world could significantly impact the company’s liability. 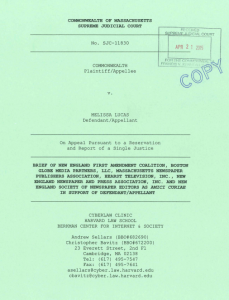 BETABOSTON | Court Ruling in YouTube Takedown Case a Major Free-Speech Victory | May 18, 2015 | Clinical Fellow Andy Sellars covered the Ninth Circuit’s long-awaited en banc opinion in the case, Garcia v. Google, in BetaBoston. A three-judge panel of the Ninth Circuit had previously enjoined YouTube from hosting the controversial Innocence of Muslims video, which received worldwide attention in September 2012 for its disparaging remarks about the Prophet Mohammed. Plaintiff Cindy Lee Garcia, an actress who appeared in Innocence of Muslims, claimed a copyright interest in the film based on her performance and used that purported copyright as grounds to demand YouTube remove the video. In his analysis, Andy describes the legal and factual background of the case and explores the interplay between copyright protection and free expression. SAN JOSE MERCURY NEWS | Google in the Bull’s Eye of European Union | April 16, 2015 | In its largest antitrust case since actions against Microsoft several years ago, the European Union has issued a complaint against Google, both for its search tool in relation to online shopping as well as its Android software and agreements with distributors to push Google’s applications. According to Clinical Instructor Vivek Krishnamurthy, the latter action has more potential to be troubling for the tech giant in that it has “shades of the U.S. antitrust case against Microsoft” for favoring its Web browser. 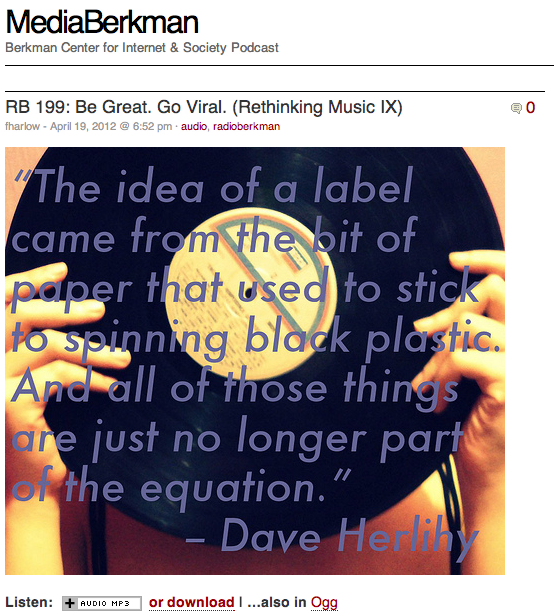 MEDIABERKMAN – BERKMAN CENTER FOR INTERNET & SOCIETY PODCAST | Radio Berkman 216: The Internet – a Yearbook | March 26, 2015 | In this installment of the RadioBerkman podcast series, Clinical Fellow Andy Sellars participates in a discussion of the web as we know it in conjunction with the Internet Monitor’s December 2014 report. The episode looks at the web as we know it, from hate speech and freedom of speech online, to censorship and surveillance online, and, of course, whether our smart machines are out to destroy us. OUTSIDE MAGAZINE | Inside the Mad, Mad World of TripAdvisor | March 13, 2015 | Clinical Professor Christopher Bavitz spoke with Tom Vanderbilt for his piece in Outside Magazine about TripAdvisor. Chris talked about the role of Section 230 of the Communications Decency Act in immunizing platforms like TripAdvisor from certain kinds of liability for materials posted by the platform’s users. Vanderbilt mentioned in his piece the Seaton case against TripAdvisor, in which the Clinic filed an amicus brief on behalf of the Digital Media Law Project. NPR WEEKEND EDITION SUNDAY | Next Witness: Will The Yellow Smiley Face Take The Stand? | February 8, 2015 | The Cyberlaw Clinic’s Assistant Director Dalia Topelson Ritvo spoke with Rachel Martin of National Public Radio‘s Weekend Edition Sunday about how lawyers, judges, and jurors deal with the appearance of emojis in chat transcripts and other forms of evidence in court. Dalia talked specifically about the prosecution of Ross Ulbricht, alleged proprietor of the “Silk Road” site, during which an Internet post that incorporated an emoji was read into evidence. THE BOSTON GLOBE | “Interview” Attack May Signal New Cyberwar| December 22, 2014 | On the heels of the threat from the hacker group Guardians of Peace and the subsequent cancellation of the premiere of Sony’s “The Interview,” Globe reporter Hiawatha Bray discusses this ” bizarre hybrid of digital extortion and real-world terrorism” and whether we have entered an era of cyber war. Clinical Fellow Andy Sellars suspects the recent events at Sony are an exceptional case. Can Sony Sue The Media? INTERNATIONAL BUSINESS TIMES | Can Sony Sue the Media? Hacking Scandal Brings Legal Threat with Dull Teeth, First Amendment Experts Say | December 15, 2014 | Can Sony sue the media? The answer is probably no, said Clinical Fellow Andy Sellars to the International Business Times‘s Christopher Zara when discussing the recent threat of legal action by Sony Pictures against media outlets publishing details from documents unearthed by hackers. While previous case law indicates that First Amendment protection in such instances covers information on a “legitimate public concern,” this definition may very well be loose enough to include what has been released, and Andy asserts that the best thing the law can do is sit back and let journalists come to their own conclusions about the ethical questions this event has raised. Can Sony Get Around the First Amendment to Sue the Media Over the Hack? THE HOLLYWOOD REPORTER | Can Sony Get Around the First Amendment to Sue the Media over the Hack? | December 15, 2014 | Clinical Fellow Andy Sellars spoke with Eriq Gardner, author of The Hollywood Reporter’s column, “Hollywood, Esq,” on the viability of the threatening letter sent by Sony Pictures to news outlets publishing information gleaned from hacks into their system. Citing the Supreme Court case Bartinicki v. Vopper and the protections it affords the media, Andy cautioned that the letter may only convince journalists to keep digging. The one area where the lines get blurry is around “trade secrets,” but what from the leaks falls into that category is hard to say. MARKETPLACE | Regaining Control of Your Online Data | November 18, 2014 | Clinic Managing Director Chris Bavitz spoke to Marketplace’s Ben Johnson about the challenges of managing one’s online information and the companies that have sprung up to help consumers desiring to control what others can see. Chris addressed the legal difficulty of forcing the takedown of personal information in the United States in light of important and robust free speech protections. 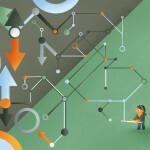 BETA BOSTON | Aereo’s Saga Signals a Chilling Effect for Innovation | November 7, 2014 | Clinical Instructor Vivek Krishnamurthy penned his own analysis of the Aereo Supreme Court decision on BetaBoston, a Boston Globe-affiliated site for tech and innovation news. In looking at the Court’s application of an old law to a new business model and the subsequent struggles of Aereo, Vivek suggests that the decision will ultimately hinder innovation from small companies with competitive pricing by protecting large service providers from those that deliver content in a different way. HUFFPOST POLITICS | A guide to not getting arrested when you use your cell phone on election day | November 3, 2014 | On Election Day eve, Clinical Fellow Andy Sellars appeared in an article on cell phone use restrictions in the voting booth for the Huffington Post. While in recent years, many states have instructed poll workers to prevent voters from taking photos, Andy pointed out that very few have a prohibition on the books, and such policing when not mandated could have a goal other than enforcing the law. Can a Company Stop you from Writing a Negative Review Online? TODAY MONEY | Can a Company Stop You from Writing a Negative Review Online? Not if Congress Passes this Bill | November 18, 2014 |Clinical Fellow Andy Sellars spoke to Herb Weisbaum from Today Money about the increased use of non-disparagement clauses from businesses hoping to prevent clients from writing scathing online reviews and the bill in Congress designed to prohibit the practice. Andy spoke about the potential chilling effects such provision can have on free speech. THE VERGE | These six lawsuits shaped the Internet | August 19, 2014 | Clinical Fellow Andy Sellars joined several other First Amendment experts in creating a list of court cases that defined speech on the Internet in legal terms. These six lawsuits between 1995 and 2006 helped to anchor the freedom to express oneself online, as well as to host content for others without fear of prosecution, and to establish mechanisms for determining how businesses conduct themselves online. NIEMAN LAB | A change in the IRS process for granting tax-exempt status could be a boon to nonprofit news | July 16, 2014 | The IRS has introduced a new fast-track application for 501(c)3 status that is open to non-profit organizations with an annual income of less than $50,000. Clinical Fellow Andy Sellars talked with Nieman Lab about the change, saying many non-profit news organizations would qualify for the new process, eliminating a roadblock that previously impeded this groups. WASHINGTON POST | This is why you can’t post GIFs of the World Cup | July 1, 2014 | On the heels of action from FIFA against a Twitter account posting GIFs from the 2014 World Cup, Clinical Fellow Andy Sellars spoke to Caitlin Dewey of the Washington Post on the copyright status of these bite-sized clips of video content. While FIFA has aggressively sought to protect its intellectual property, Andy and other First Amendment scholars see an argument for considering GIFs a “fair use” exception to copyright. KUOW.ORG | When what you post online can get you in trouble | July 1, 2014 | Following an incident at the University of Washington in which a student was arrested based on his postings online, Clinical Fellow Andy Sellars was interviewed by KUOW of Seattle’s Marcie Silliman. In discussing what speech online is considered benign in the eyes of the law and what is considered a serious threat, Andy points to the importance of context, as well as the chances a particular threat will reach its target. 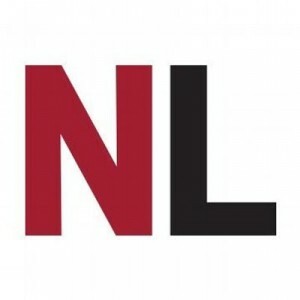 THE TENNESSEAN | Music industry’s impact on Nashville is to tune of $9.7 billion | July 28, 2013 | Reporter Michael Cass of The Tennessean interviewed Cyberlaw Clinic Managing Director Chris Bavitz for this article about the impact of the music industry on Nashville. Chris discussed the ways in which the shift to digital distribution and the ability of consumers to purchase individual tracks (as opposed to whole albums) has affected songwriters. MARKETPLACE | Why Pandora Bought a Radio Station in South Dakota | June 12, 2013 | Chris Bavitz from the Clinic spoke with Marketplace‘s Shannon Mullen about Pandora‘s novel approach to licensing public performance rights in musical compositions — i.e., buying a radio station in South Dakota in an effort to take advantage of rates available from ASCAP to terrestrial broadcasters. In an Op-Ed posted June 11, 2013 to The Hill‘s Congress Blog, Pandora’s Assistant General Counsel Christopher Harrison explained that the move came in response to perceived discriminatory treatment on the part of ASCAP, which required Pandora to pay more than some of its competitors for public performance licenses. HARVARD JOURNAL OF LAW & TECHNOLOGY | Using Technology to Promote Access to Justice | Volume 26, Number 1 | Fall 2012 | The Harvard Journal of Law & Technology (“JOLT”) has published “Using Technology to Promote Access to Justice,” an integrated article that compiles six papers prepared for the Legal Service Corporation‘s June 2012 Summit on the Use of Technology to Expand Access to Justice. HLS Clinical Professor and Cyberlaw Clinic Director Phil Malone co-authored one of those papers, “Overcoming Barriers to Adoption of Effective Technology Strategies for Improving Access to Justice,” which comprises Part VII of the JOLT article. Professor Malone’s contribution emerges from the Clinic’s work on technology and access to justice in Massachusetts courts. QUNICY PATRIOT LEDGER | Judge Skeptical of Argument Against Video in Quincy District Court | August 10, 2012 | This article by Jack Encarnacao describes the Cyberlaw Clinic’s appearance before Justice Botsford of the Massachusetts Supreme Judicial Court, arguing on behalf of WBUR‘s OpenCourt project and in favor of the right to record criminal trials under Massachusetts law. The article notes that Justice Botsford “seemed to favor leaving the discretion of when to shut off cameras to District Court judges instead of issuing a pre-emptive restriction from the bench.” In fact, in a written decision issued shortly after the arugment, Justice Botsford did rule in OpenCourt’s favor. 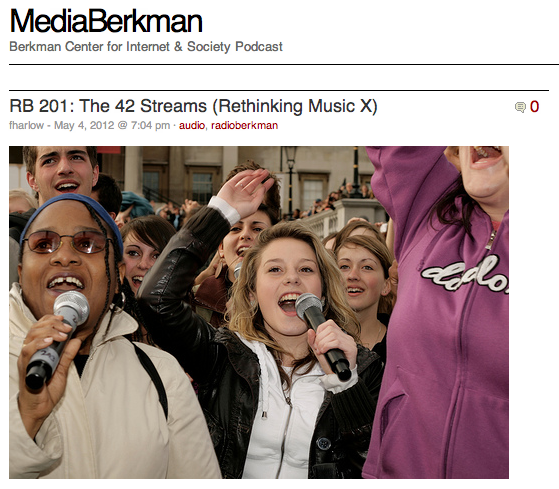 MEDIABERKMAN – BERKMAN CENTER FOR INTERNET & SOCIETY PODCAST | Radio Berkman 201: Rethinking Music, Part X – The 42 Streams | May 4, 2012 | Cyberlaw Clinic Assistant Director Christopher Bavitz interviews Kristin Thomson about her work on the Future of Music Coalition‘s Artist Revenue Streams project in this installment of the RadioBerkman podcast series. After interviewing more than eighty composers and performers, conducting a dozen financial case studies, and distributing an online survey to more than 5,000 musicians, the Future of Music Coalition has identified no less than 42 distinct revenue streams ranging from karaoke licensing to merchandise sales. The conversation addresses FMC’s reasons for taking on this project, the methodology behind it, and the impact of its findings. RB 199: Rethinking Music, Part IX — Be Great. Go Viral. 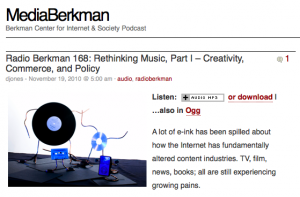 MEDIABERKMAN – BERKMAN CENTER FOR INTERNET & SOCIETY PODCAST | Radio Berkman 199: Rethinking Music, Part IX – Be Great. Go Viral. | April 19, 2012 | In this installment of the RadioBerkman podcast series, Cyberlaw Clinic Assistant Director Christopher Bavitz interviews Dave Herlihy, who teaches music industry classes at Northeastern University and operates his own practice specializing in entertainment law, intellectual property, copyright, trademark, licensing, and new media. The conversation compares the music industry of today with the music industry of twenty-five years ago, when Herlihy’s band — O Positive — struck a major label record deal. Herlihy offers his insights on the role of record labels in the YouTube era and the complexities of music licensing. WEB HOST INDUSTRY REVIEW | Q&A: Maxim Weinstein on StopBadware’s New Web Host Program | August 22, 2011 | In this interview with TheWhir.com, Maxim Weinstein of Clinic client StopBadware highlights the Clinic’s work supporting StopBadware’s efforts to develop best practices for webhosts in dealing with claims of malware on sites that they host. FEDERAL COMMUNICATIONS COMMISSION | Information Needs of Communities: The Changing Media Landscape in a Broadband Age | June 9, 2011 | The June 2011 report prepared by Steven Waldman and the Federal Communications Working Group on the Information Needs of Communities addresses issues surrounding the resurgent tort doctrine of hot news misappropriation and cites the amicus brief prepared by the Clinic and the Electronic Frontier Foundation in the Second Circuit case, Barclays Capital Inc. v. TheFlyOnTheWall.com. WBUR | Berklee Conference to Explore Music Industry’s Future | April 25, 2011 | In this interview with WBUR’s Deborah Becker, Cyberlaw Clinic Assistant Director Christopher Bavitz and Allen Bargfrede from Berklee College of Music discuss issues facing the music industry and the then-upcoming Rethink Music conference, held in Boston in April 2011. NASHUA TELEGRAPH | Names at heart of free speech case | March 23, 2010 | This article by Ashley Smith bout the case, The Mortgage Specialists, Inc. v. Implode-Explode Heavy Industries, Inc., cites the amicus brief (pdf) prepared in part by the Cyberlaw Clinic and submitted to the New Hampshire Supreme Court on behalf of Citizen Media Law Project and Reporters Committee for Freedom of the Press.